Former TNR editor Peter Beinart has a sharp, attention-grabbing essay in The New York Review of Books making this case not just against AIPAC but most of the mainstream American Jewish organizations. Indeed, he goes much further. Those groups, he argues, have abandoned liberalism on the Middle East and are responsible for a generation of young Jews who hold no connection to Israel. Peter is one of the most brilliant people I’ve ever known. His essay is a call to arms to the American Jewish leadership that needs to be heeded. At the same time, the qualities that make it an effective call to arms also make it fall short as a description of reality. [L]iberals don't have a sympathetic White House to enact liberal anti-totalitarianism policies. But, unless liberals stop glossing over fundamental differences in the name of unity, they never will. This obsession with victimhood lies at the heart of why Zionism is dying among America’s secular Jewish young. It simply bears no relationship to their lived experience, or what they have seen of Israel’s. You can see the polemical imperative of such warnings. But a bit of reflection makes clear that they bear little relationship to reality. Democrats managed to sweep the two elections that came after “A Fighting Faith” without undergoing anything like the rigorous ideological cleansing Peter prescribed. I suspect that young Jews’ indifference toward Israel is overwhelmingly a function of their weakening ties to Judaism itself. Peter argues for such reforms as bringing pro-peace Israeli students to campus. I suspect that such things, or even a dramatically more liberal turn by the American Jewish establishment, would have little effect on the opinion of young Jews. Sometimes virtue must be its own reward. Two elections, and two defeats, into the September 11 era, American liberalism still has not had its meeting at the Willard Hotel. And the hour is getting late. In the same vein, Peter now paints Israel as falling almost inexorably into the grip of the far right. “The Netanyahu coalition,” he writes, “is the product of frightening, long-term trends in Israeli society.” There is certainly some truth to this – Russian immigration and the higher Orthodox birthrate have altered the face of the Israeli electorate. 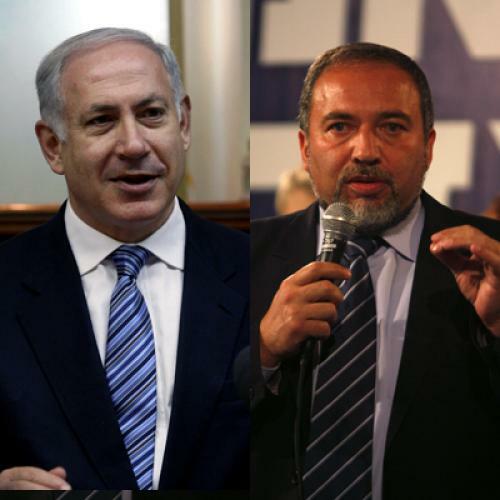 On the other hand, it was not that long ago that left-of-center parties governed Israel. Demography does not work that rapidly. Though he concedes that Israeli government can move in and out of power quickly, the tone of his essay has the same two-minutes-to-midnight urgency. I hope that, just as he rethought the stridency of “A Fighting Faith,” he’ll eventually look back on this piece as somewhat overwrought. Peter describes at length Bibi Netanyahu’s 1993 book making the case against statehood for Palestinians. It’s a disgusting expression of a classical Jewish paranoia in which any threat to Israel is tantamount to Nazism -- which, by the way, Leon Wieseltier masterfully dissected in 2002. The trouble is that Peter repeatedly passes off lines from the book as Netanyahu’s current viewpoint, which it isn’t. (He now accepts Palestinian statehood.) Now, Netanyahu is a slippery character, and one could make the case that he lacks the true desire to follow through on his new stance, and I wouldn’t dispute that. But to make this case is at least to acknowledge that Israeli politics have changed since 1993 such that Netanyahu’s old rejectionism is no longer tenable. That acknowledgement would complicate, and reduce the urgency of, Peter’s clarion call. Not only does the organized American Jewish community mostly avoid public criticism of the Israeli government, it tries to prevent others from leveling such criticism as well. In recent years, American Jewish organizations have waged a campaign to discredit the world’s most respected international human rights groups. It’s true that American Jewish groups have fiercely attacked some human rights groups. But if this is an attempt to “prevent criticism,” then Peter’s essay is an attempt to prevent support of Israel. As for the substance of these complaints, Peter flicks them away in a line (“Human Rights Watch and Amnesty International are not infallible.”) But there are deep problems with both the obsessive focus on, and the particulars of, their critiques of Israel. Moshe Halbertal and Ben Birnbaum published thoughtful, balanced, and generally devastating analyses of the Goldstone Report and Human Rights Watch. I have yet to see anybody on the left mount a convincing rebuttal. American Jews should pay more attention to human rights violations in Israel, but they’d be more likely to treat such claims seriously if they had less genuine reason to dismiss them as unfair. Here, of course, we find ourselves on the precipice of the murky question of which side to blame. The funny thing is that Peter and I probably agree almost entirely on the objective state of reality. Liberal Zionism is being squeezed on both ends by opponents who seek to define it out of existence. Conservatives wish to define Zionism as a conservative idea, so that any sympathizer of Israel must support the Republican Party. Left-wing critics of Israel, likewise, have found their most potent rhetorical tool to be describing any supporter of the U.S.-Israel alliance, from Likudniks to Meretz Party doves, as neoconservatives, so as to brand support for Israel as right-wing and unacceptable. Peter and I both find this pincer campaign threatening at an elemental level. He focuses more of his ire on the right-wing half, I direct more against the left. I don’t begrudge Peter his choice. As I said, somebody needs to grab the American Jewish leadership by the lapels and shake some sense into it. I believe the urgency of Peter’s appeal led him to focus on his target so single-mindedly as to impair his formidable analytic powers. I hope that, as with “A Fighting Faith,” he’ll eventually see the need to usefully complicate his argument.